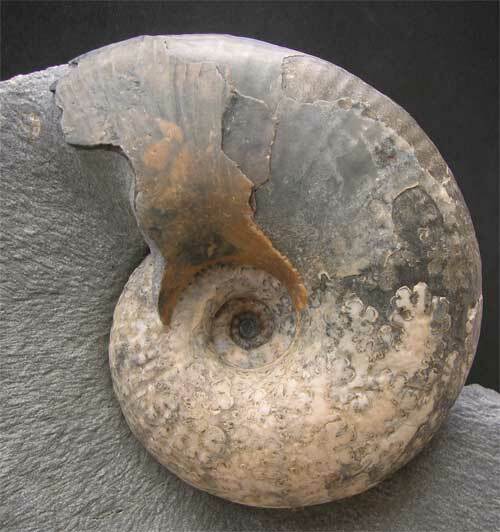 Only very rarely do ammonite fossils of this calibre come on the open market for sale. Many hundreds of fruitless hours over a period of 23 years goes into finding maybe a couple of these "Holy Grail" inferior oolite ammonites on Skye. 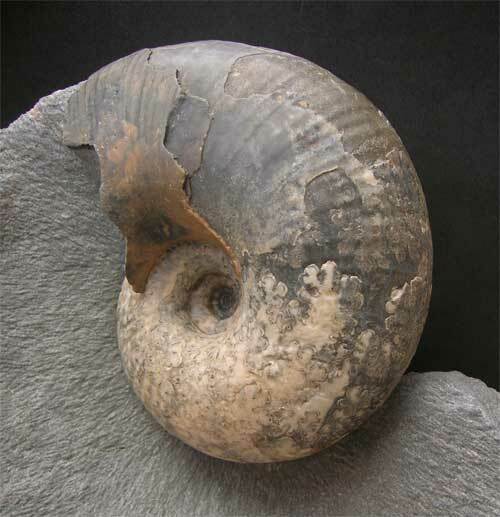 Found on a storm battered day during the winter of 1989 this specimen fully enclosed with rock, just a hint of an ammonite inside, came to light. My heart sank when I started preparing this classic rarity because it was too good to believe at the time. Many, Many hours of solid preparation over a two week period went into this stunning fossil. The overlying rock was (sticky) this means it wouldn't come away from the ammonite very easily, hence the many hours. The centre is absolute perfection done with a microscope. 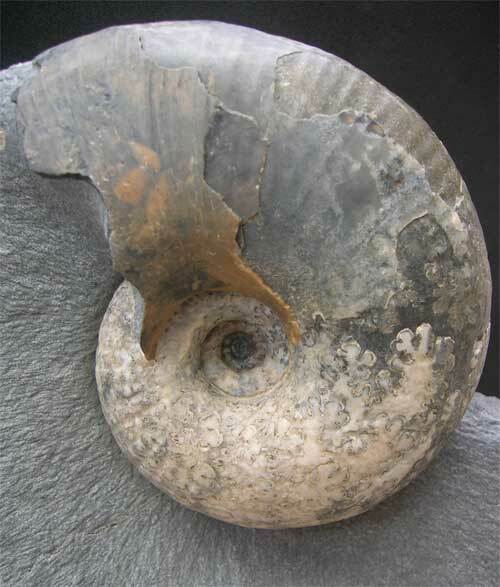 This is probably one of the finest and best prepared Lytoceras specimens ever to come off these shores. Collected and prepared by Andy Cowap. Andy has also signed the base of the matrix.